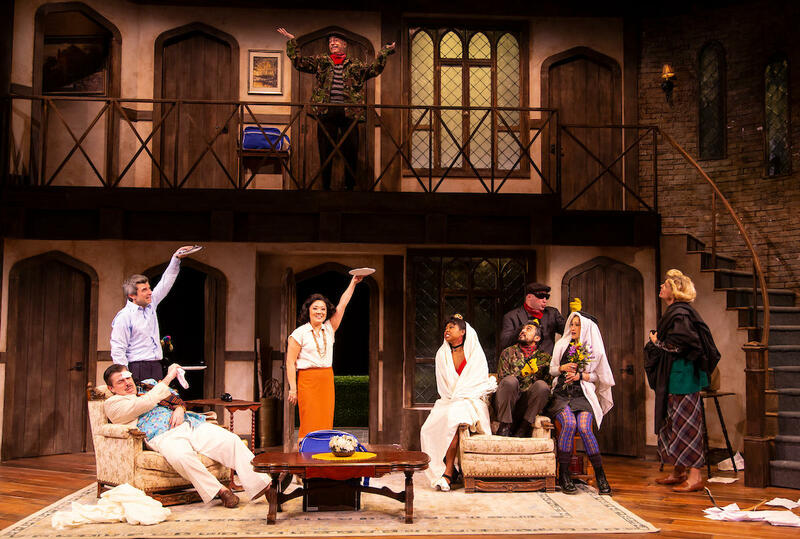 Having Fun with the Cast of Two River Theater's "Noises Off"
Tony Award winner Michael Frayn's Noises Off debuted in London, England in 1982 and is considered one of the funniest plays ever written. The latest production of the popular play at Two River Theater is being directed by Sarna Lapine and includes a star-studded cast. WBGO's News Director Doug Doyle went to the theater in Red Bank, New Jersey to talk with three of the cast members: Ellen Harvey, Michael Crane and Kimiye Corwin. Screwball antics, misplaced props, slamming doors and flying sardines all combine in this celebrated, flawless farce-within-a-farce. Broadway star Ellen Harvey plays the role of Dotty Otley, the top-billed star of the play-within-the play "Nothing On". Dotty is dating the much younger lead Garry Lejeune, who is portrayed by Michael Crane. Harvey, who recently starred on Broadway with Kevin Klein in Present Laughter after a two-year run as Madame Giry in the Broadway smash musical Phantom of the Opera, says Noises Off presented plenty of challenges. "The accents aside, because many of us as our actor characters have different accents than the actual characters that we're playing in the play, which are opposed to our normal voices. So I find the great challenge was finding the different nuances both physically and vocally for the show. It's really interesting to do something this difficult and to keep the comedy in both characters. There's a scripted comedy and then there's the failing actor comedy that happens too." Kimiye Corwin plays the role of Poppy Norton-Taylor, an emotional understudy/assistant stage manager, who eventually creates more chaos in the play-within-the play as she becomes part of a love triangle with the character Lloyd Dallas, the director of "Nothing On" and another inexperienced actress Brooke Ashton. Corwin, who has done a lot of work with New York Theater and regional theaters, trained as a dancer at Julliard and danced with the Jose Limon Dance Company. She credits the wonderful work of director Sarna Lapine for making Noises Off so enjoyable for her. "I haven't done a comedy in a long time so I was definitely ready to do something like this. The cast is wonderful, the hardest workers I've ever met and so nice and so talented. I've laughed all through rehearsals. Sarna was great, she's super smart. She runs things like a sports coach. This play really needed it. Just play your position, keep your eye on the ball, keep it moving forward, it was really useful and fun to work that way." Veteran actor Michael Crane got his MFA at NYU. Crane, who like Corwin, is performing for the first time at Two River theater. He was impressed with the entire crew as well. "It's a great cast, everyone is lovely, so much fun, so talented. Everyone was so prepared on day one which I think is really necessary for this show because we have to just think and move so quickly that there's barely enough time to to get it up in the time given, so that's great." Ellen Harvey says she was thrilled to return to Two River Theater. She appeared in Pericles back in 2016. "This Theater is sort of an extraordinary gem. I mean it's only an hour away from New York City. It enables those of us that are based in New York to come out here and work. We don't feel so far away from home. But it also just far enough that you have the creative ability out here to not necessarily be judged under the microscope of New York City and New York City critics. So there's experimentation, we feel a lot of freedom out here to do strange things like Pericles. They take such good care of us here. They love the theater, they love the arts, they love the fact that there's community interaction, student interaction. It's just a great supportive arts community here at Two River." 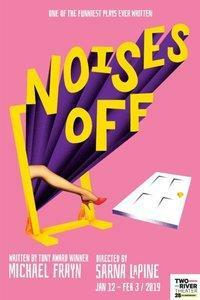 Noises Off runs through February 3rd. Click above to hear the entire conversation with Ellen Harvey, Michael Crane and Kimiye Corwin. Star Power in Two River Theater's Production of August Wilson's "King Hedley II"
The year is 1985. King Hedley II has returned from prison looking to rebuild his life, save some money, plant a backyard garden, and start a family. This production is the halfway mark of Two River Theater presenting the 10 plays of August Wilson’s American Century Cycle. WBGO News Director Doug Doyle chats with two of the stars of King Hedley II, Harvy Blanks (Elmore) and Charlie Hudson III (Mister). Obie Award-winner Brandon J. Dirden (A Raisin in the Sun, August Wilson’s Jitney) directs. Songbird premiered Off-Broadway in 2015 to much critical acclaim, earning a New York Times Critic's Pick. Now the musical, written by Michael Kimmel along with music and lyrics by Lauren Pritchard, is gearing up for its run at Two River Theater in Red Bank. 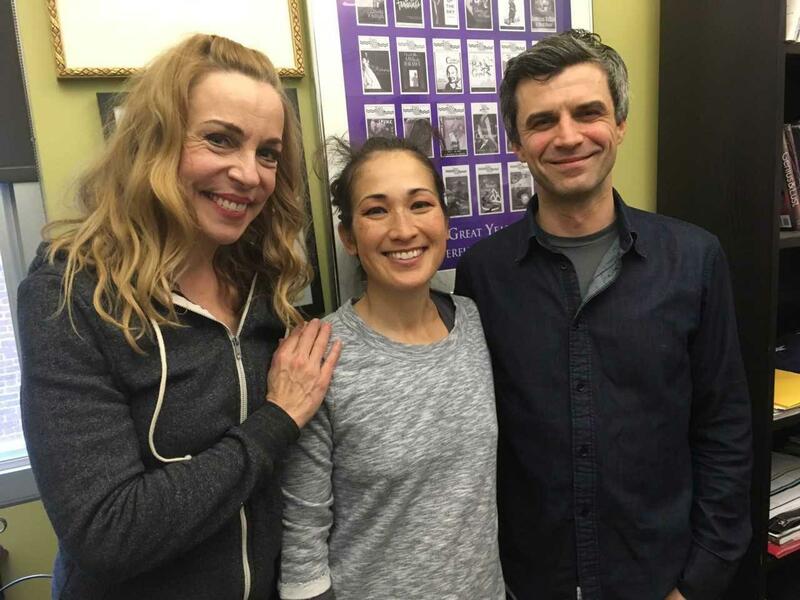 Pritchard, who starred as Ilse in the original cast of Spring Awakening on Broadway in 2006 and performs now as LOLO, sat down recently with WBGO's News Director Doug Doyle to talk about Songbird and her career. Veteran writer and actor David Greenspan, the winner of five Obie Awards, brings his adaptation of Thornton Wilder 's The Bridge of San Luis Rey to Two River Theater through March 18th. This production is directed by Ken Rus Schmoll. This literary masterpiece which won the Pulitzer Prize in 1928 deals with the nature of love. David Greenspan also stars in the new production as the narrator and portrays the character Uncle Pio.